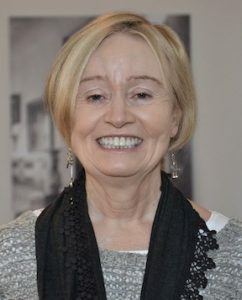 Mary Ann Doane recently joined the faculty at UC Berkeley as the Class of 1937 Professor of Film and Media, and will begin teaching film, media and critical theory in Spring 2012 after a research semester at the Bauhaus University in Weimar, Germany. Prior to Berkeley, Professor Doane taught at Brown University for three decades where she was the George Hazard Crooker Professor of Modern Culture and Media. She has also held visiting teaching positions at New York University and the University of Iowa. She is the author of several books, including The Desire to Desire: The Woman’s Film of the 1940s, Femmes Fatales: Feminism, Film Theory, Psychoanalysis, and The Emergence of Cinematic Time: Modernity, Contingency, the Archive. In 1990, she was the recipient of a Guggenheim Fellowship.